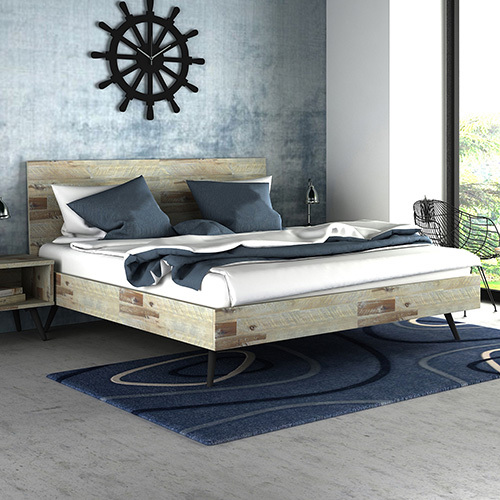 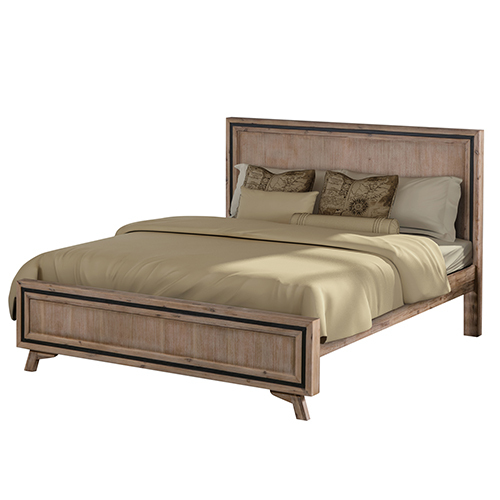 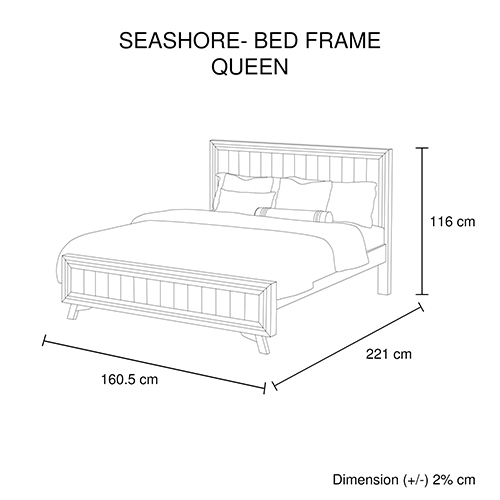 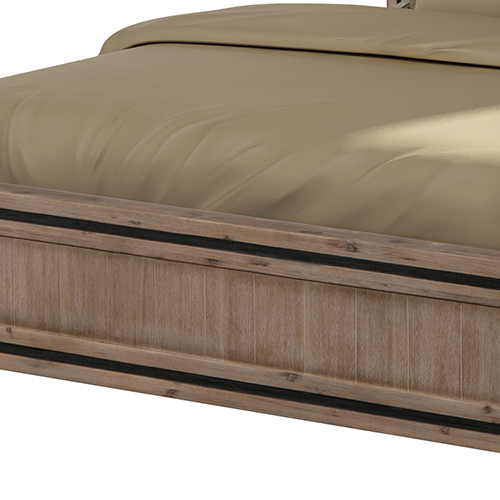 Our Seashore bedframe has acacia and veneer construction, which is strong and durable. 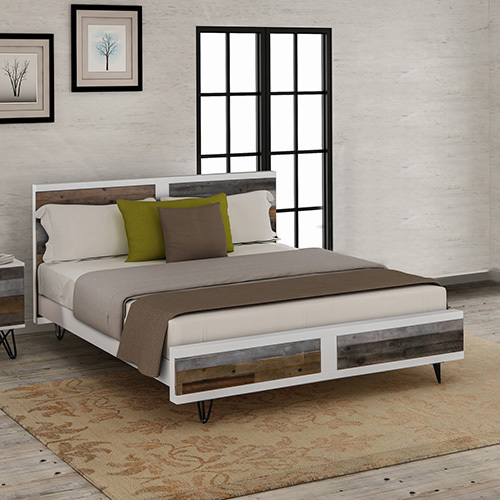 Acacia is a dense, durable hardwood that can resist the weight on it.These frames require little maintenance and are very practical.Seashore bed has entire series of matching home furniture including bed, bedside table, tallboy, living room unit, dining table-chairs etc. 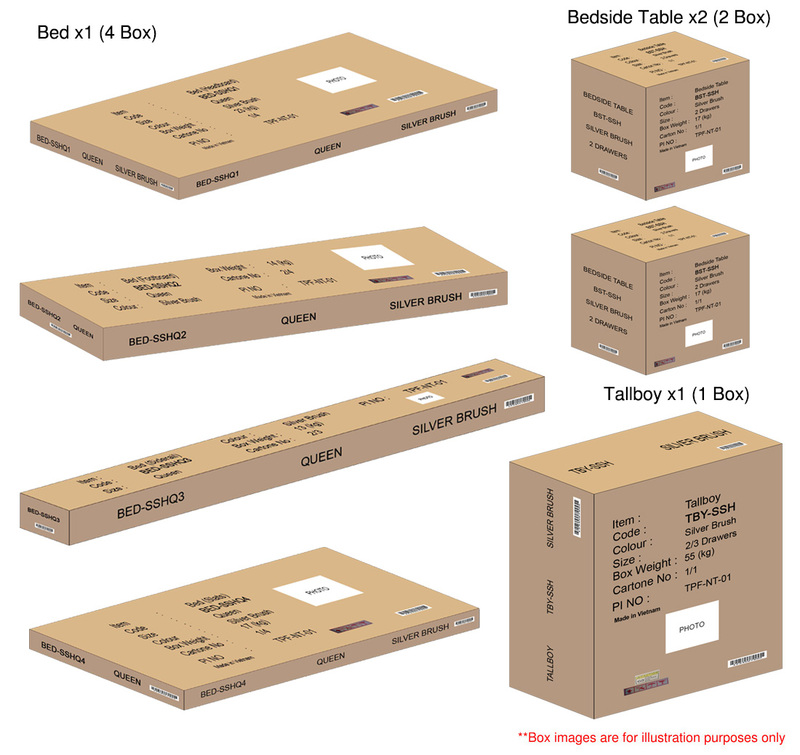 so this series would be an inexpensive choice to decorate your entire home. 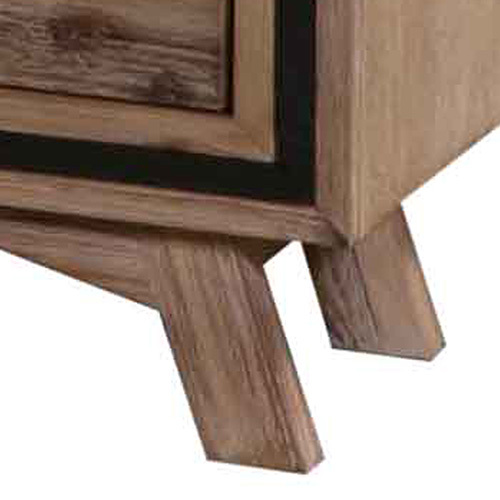 Design of the furniture pieces of this series is kept simple. 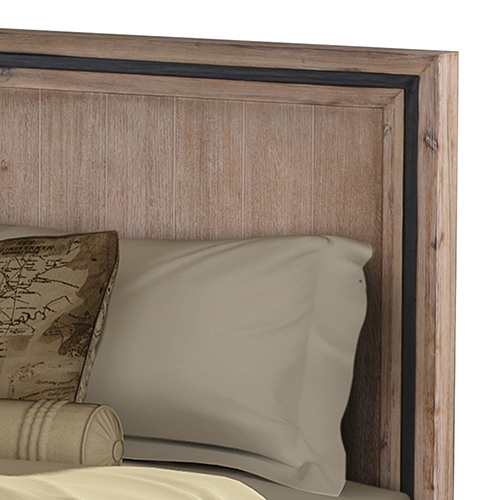 This makes it easier for it to fit in with the decor of your room. 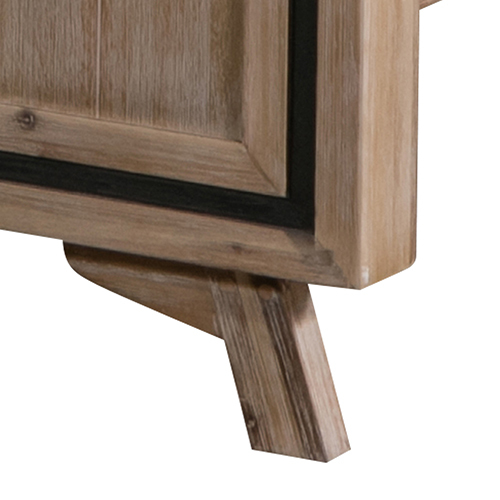 Pros of using Acacia and veneer frame include-durability and water-résistance – ideal for heavy-use items that are in frequent contact with liquids. 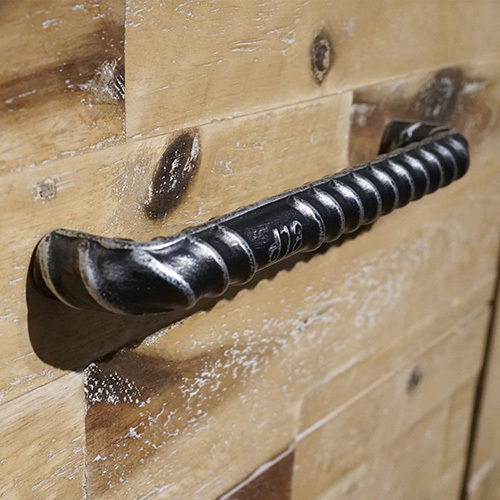 Acacia’s durability means it isn’t scratched easily, too, while its water-resistant properties means it won’t warp readily and is highly resistant to fungus. 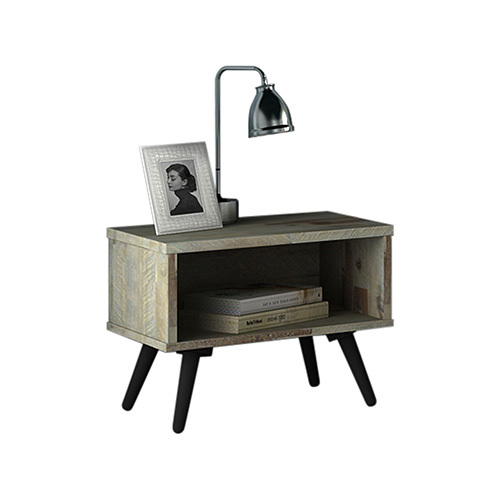 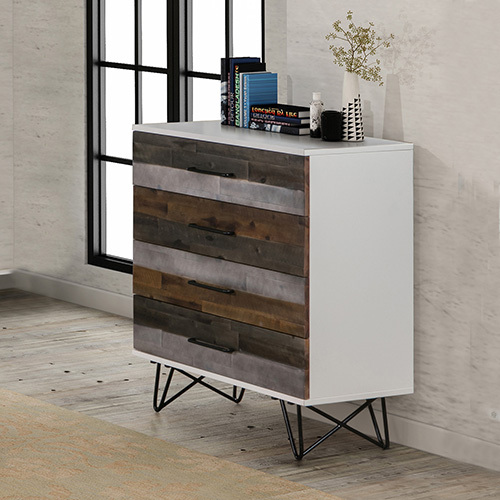 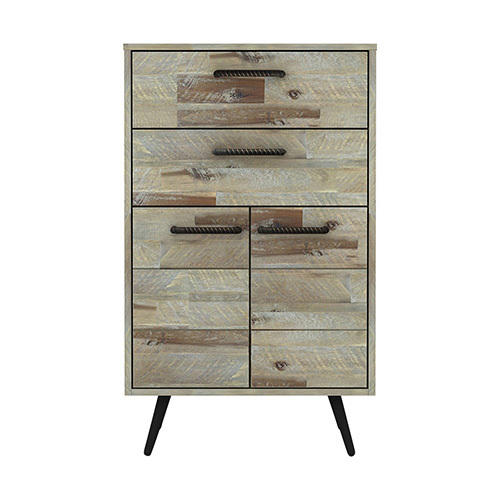 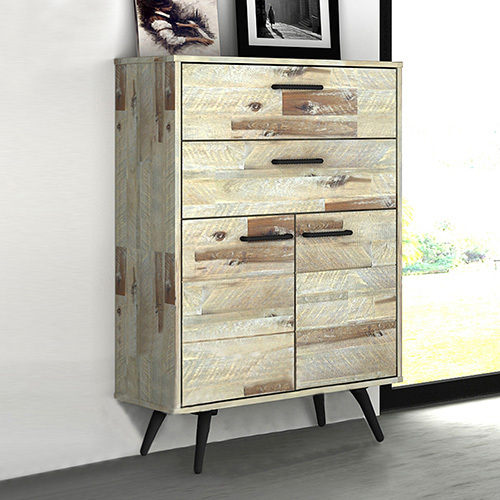 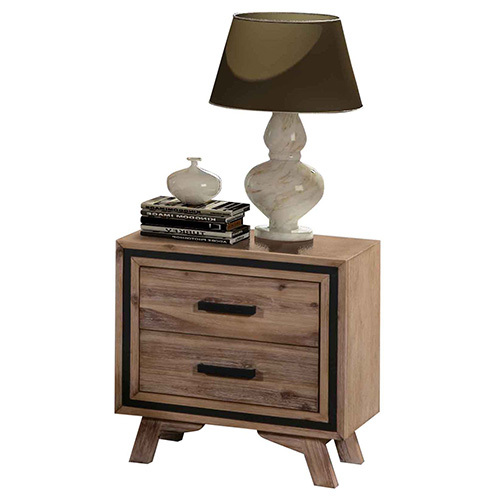 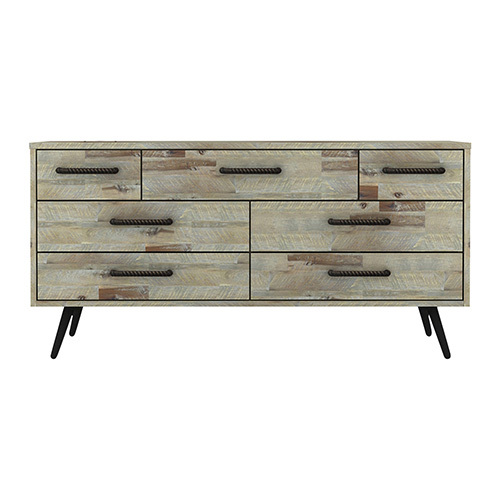 It has an attractive natural raw wood colour, giving a warm, rich touch to any home. 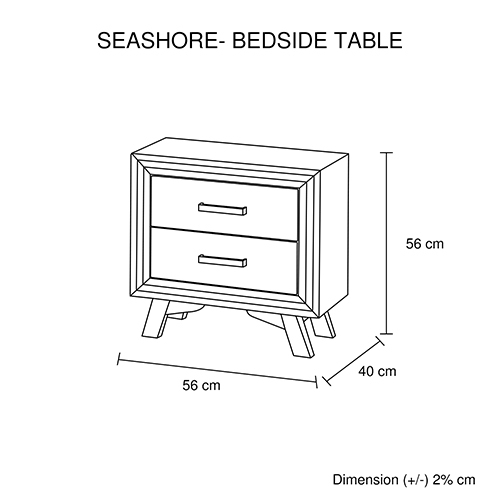 This bed room unit comes with abundance of storage for stowing your accessories. 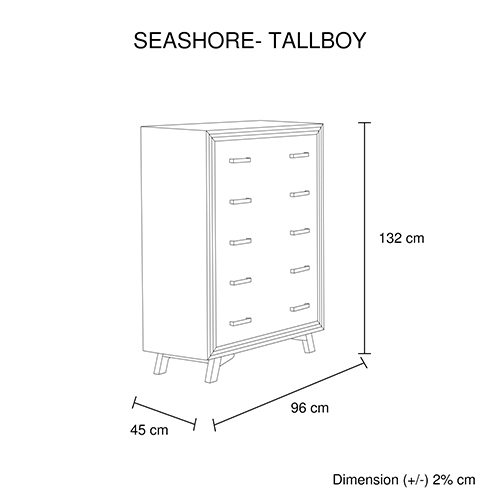 It has two spacious drawers where you can neatly arrange your staffs and thus keep your home clean and tidy. 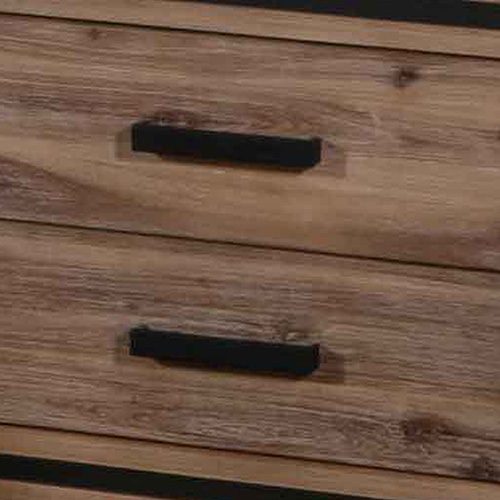 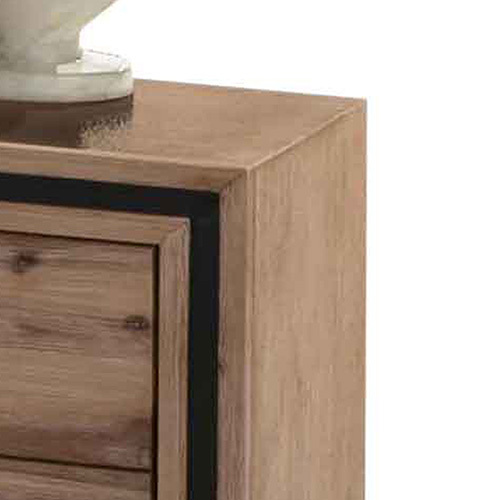 Metal Handles are used in the drawers to let you pull out the drawers easily and smoothly. 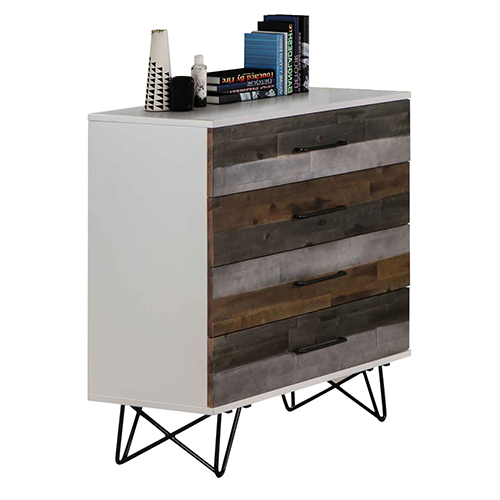 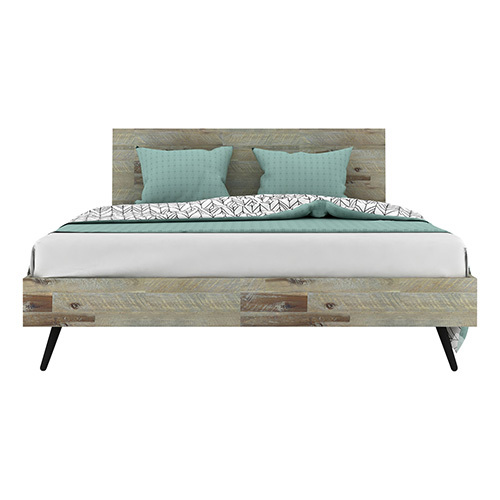 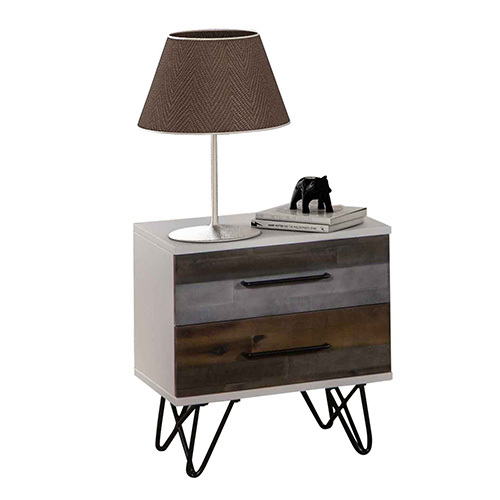 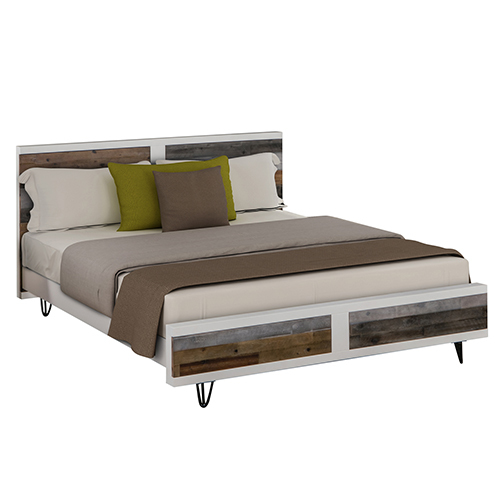 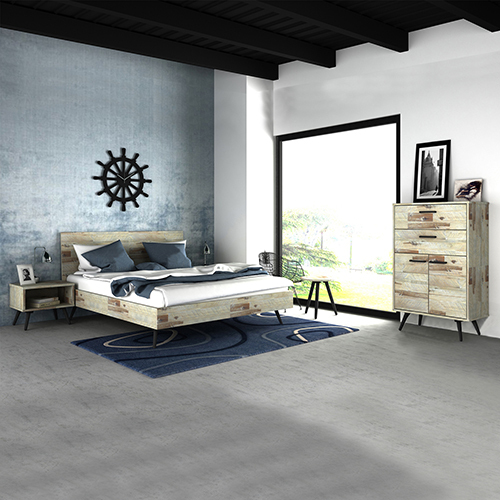 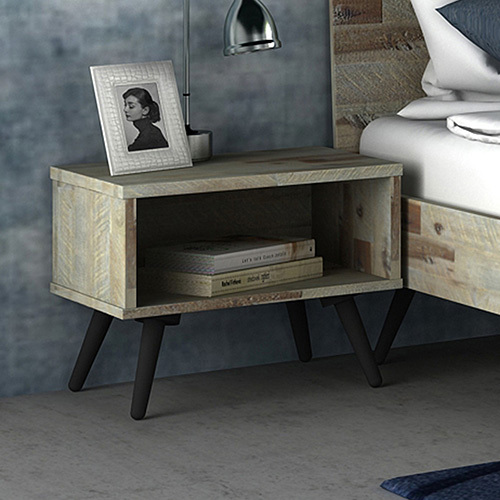 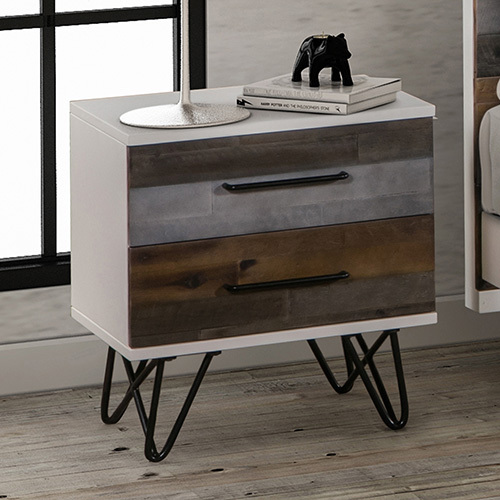 The Bedframe is elevated with rustic looking legs which complement the entire raw texture of the bedframe. 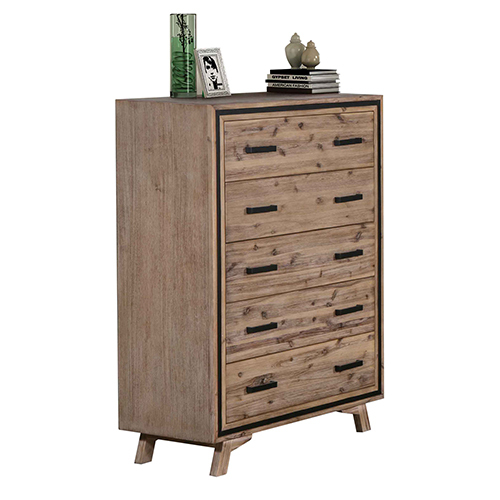 Since it is made of acacia and veneer construction, it would not need a lot of attention, but look good even as they age.